(1991/MANUITI) 23 tracks 1940-67. Eddie Lund (1909-1973) Has given the world its first discs of authentic Tahitian Music as recorded in the Islands themselves. He has studed this music straight sway his arrival in Pateete in 1936 and become one of the leading authorities in this field. To insure absolute authenticity in these recordings, he travelled to some of the most remote ot the Society Islands to assemble talent. Many performers never before had seen a microphone. Listen To traditional chants employing such seldomheart instruments as the vivo or nose flute. The titapu (a Polynesian jew's harp made from a vibrating silver of bamboo), and the concertina, borrowed from german missionaries in the nineteenth century. 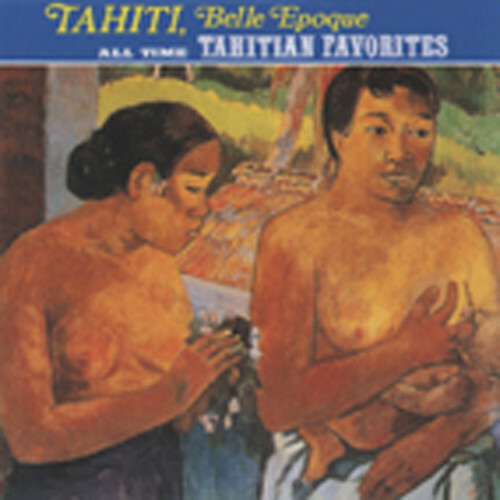 And listen to the Eddie Lund's original and so popular songs, both sentimental and comic, performed by Tahiti's leading singers and instrumentalists of that time. Anyone looking for an anthology of the best and most authentic in Tahitian Music will find it in this album. Some of this recordings made before 1950 were engraved directly on acetate (one must not forget that the magnetic tape enabling the actual scientific sound had not seen the day yet in the Islans). We had to proceed to a transfer on tape, then a transfer analog audio digital and this is how the present album has been issued, the value of which resides on it's authenticity and it's testimony of one Tahiti's 'Belle Epoque'..
Kundenbewertungen für "Tahiti Belle Epoque Vol.1"